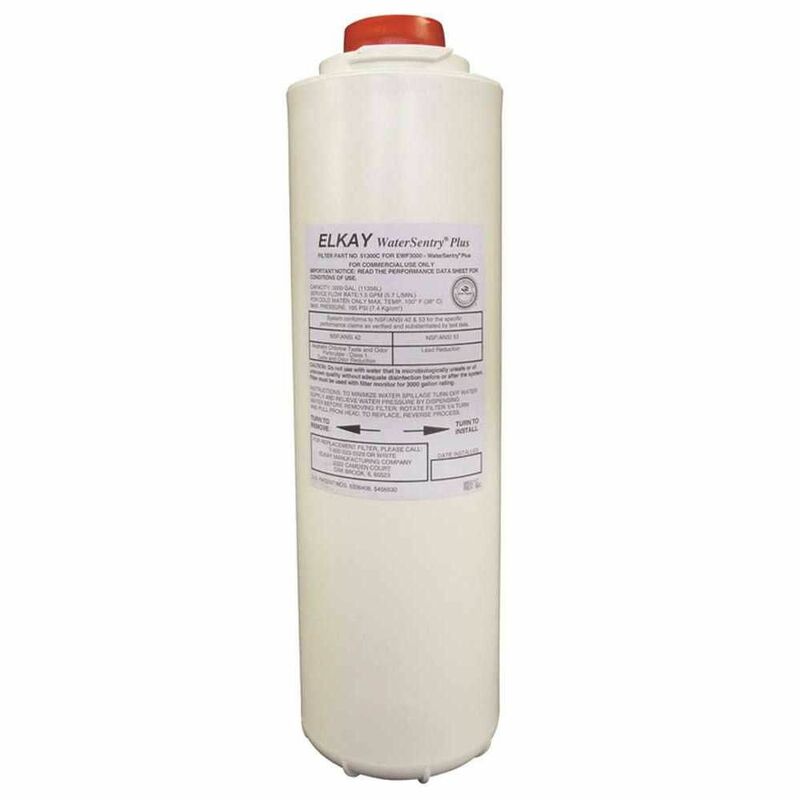 Water Filter For Water Sentry Plus Ezh20 - (12-Pack) Lead Reduction Filter designed for use with Elkay EZH2O Bottle Filling Stations with visual filter monitoring. Designed to remove lead particles and chlorine. Also reduces odors and discoloration from incoming water. Features include Quick - Disconnect, 1/4 turn installation. Automatic inlet shut-off valve that closes when filter is removed. Hands never touch the actual filter media and, therefore, limit the potential for introduction of bacteria. Outer protective wrap. Spun Polypropylene pre-filter mesh to prevent large, coarse sediment and particles from entering and clogging filter media. High-grade filter is made with activated carbon and patented ATS lead-removal media. Radial flow-thru design provides more surface area for untreated water while final filter mesh prevents loose carbon from entering water.